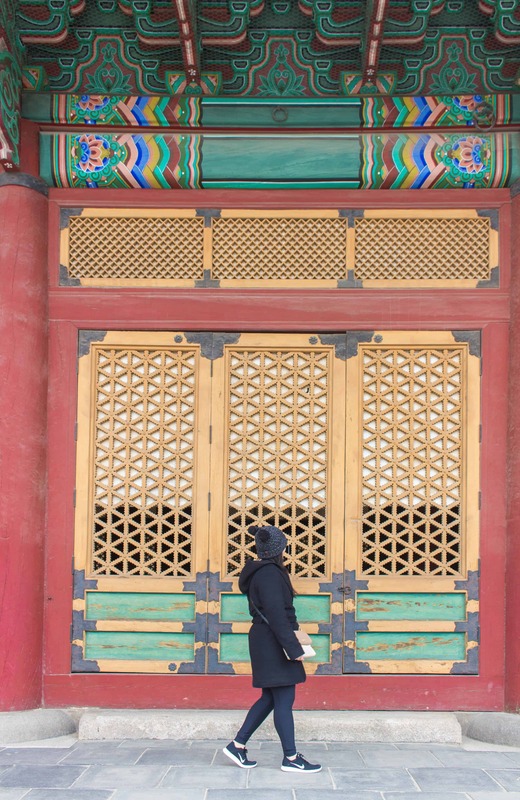 Seoul, South Korea Travel Itinerary: Where to Stay, Where to Go, What to Eat! 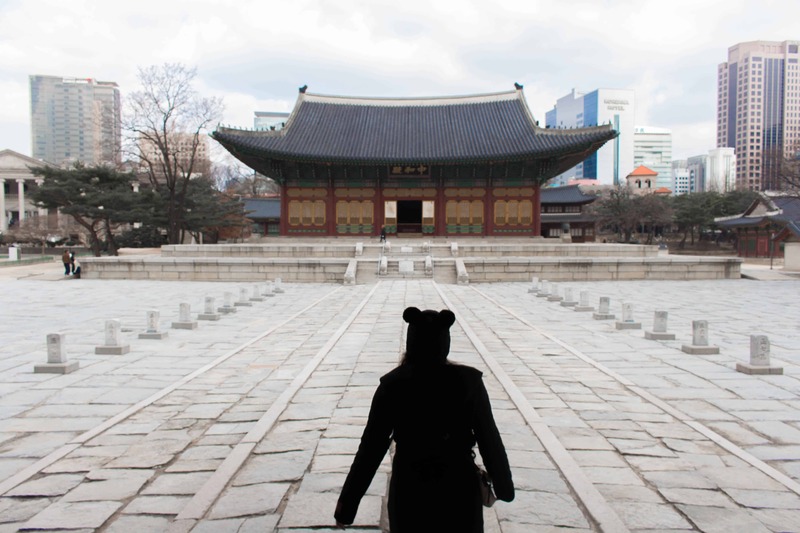 Planning a trip to Seoul, South Korea and looking for recommendations? Well you’re in luck! 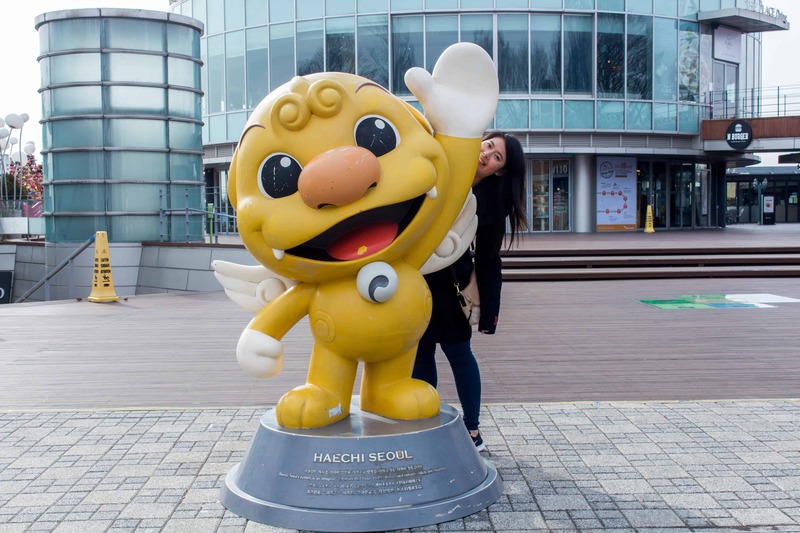 This post will have you covered on where to stay, where to go, and what to eat in Seoul, South Korea! 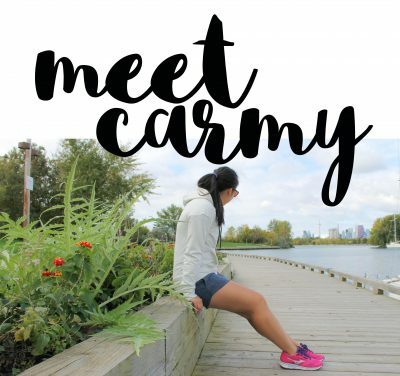 click here to pin this to your bucket list! So why Seoul? Flying to Seoul was honestly a last minute decision. While in Amsterdam, H sent me a message that he had secured a full time position so we literally had 2 weeks to travel something together before work shipped him off somewhere. I mean, how could I say no to that?! As you know, I’m a huge fan of Europe but H is a huge fan of Asia (because, food!) 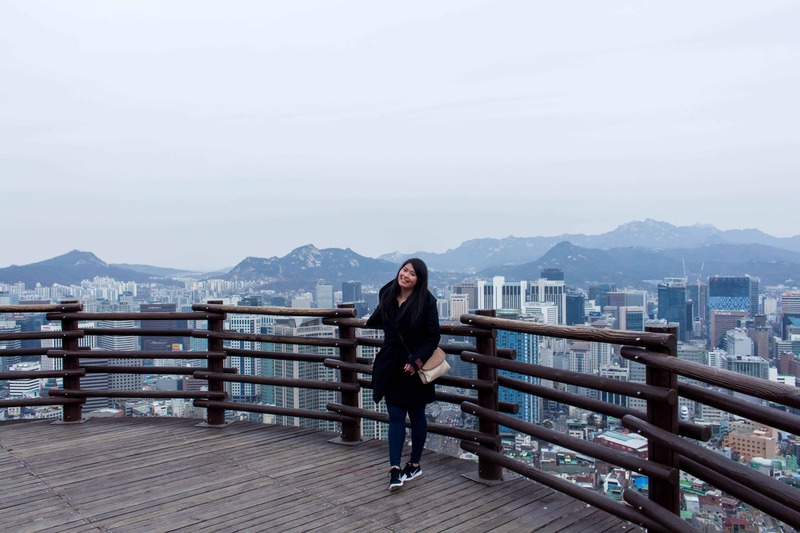 but since I was planning to go back to Europe soon, we decided we compromised on Seoul (and by compromise, I mean H gave me 4 places to choose from and Seoul was my top pick). 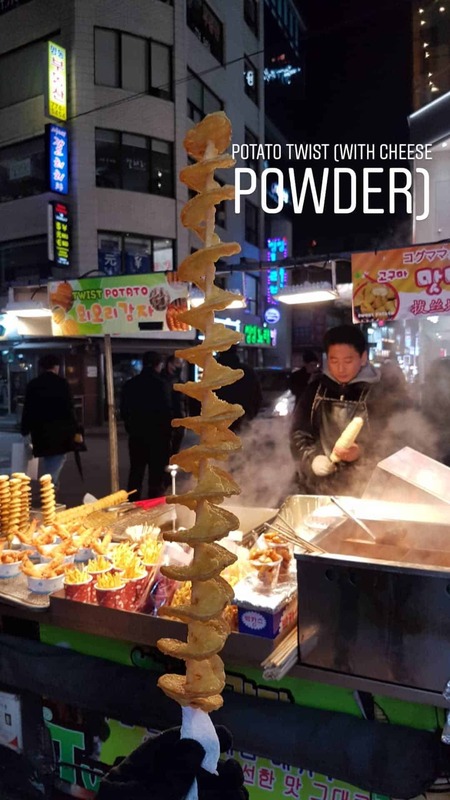 I’ll be honest, it took me half a second to pick Korea because I am obsessed with Korean food. Like I can eat gamja-tang, sundubu-jjigae, and samgyetang for days on end without getting sick of it (as proven by me making batches of sundubu-jjigae in my Instant Pot and bringing it to work 2 weeks straight). I was psyched for Korea and I made sure to bring my leggings and stretchy pants for the trip! 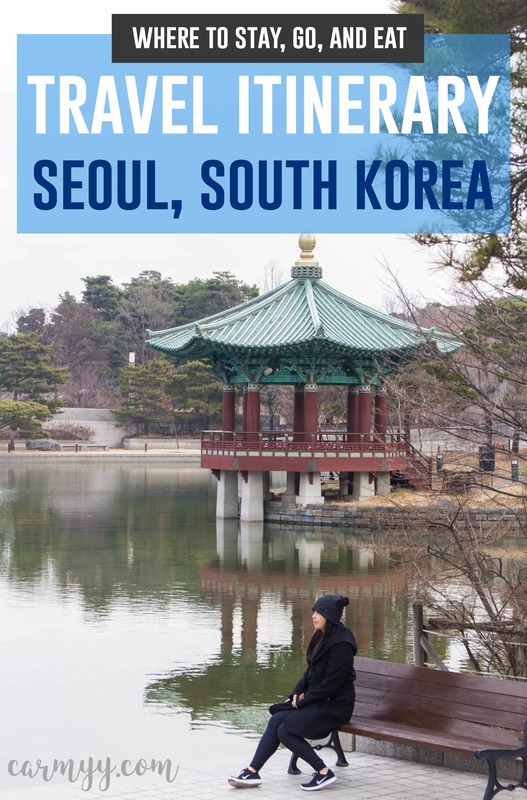 Okay so without further rambling from me, let’s jump into this Seoul, South Korea travel guide! We landed in Incheon International Airport. There, we picked up the wifi that we had pre-ordered with Roaming KT. We kept our phones on airplane mode for the entire trip so renting a wifi router (up to 3 devices can be connected), meant that we could look things up on the go and outside where we were staying. The router had unlimited data and up to 18 hours battery life per charge so it was an easy decision for us. IMPORTANT NOTE: guys, the walking instructions in Google Maps does not work in South Korea. I repeat, Google Maps does not work! Instructions from Point A to Point B via public transit worked but not walking directions. Yes, it’s odd, and yes, it’s important because I’d consider Seoul a very walkable city but the streets are not grid-like like New York City. 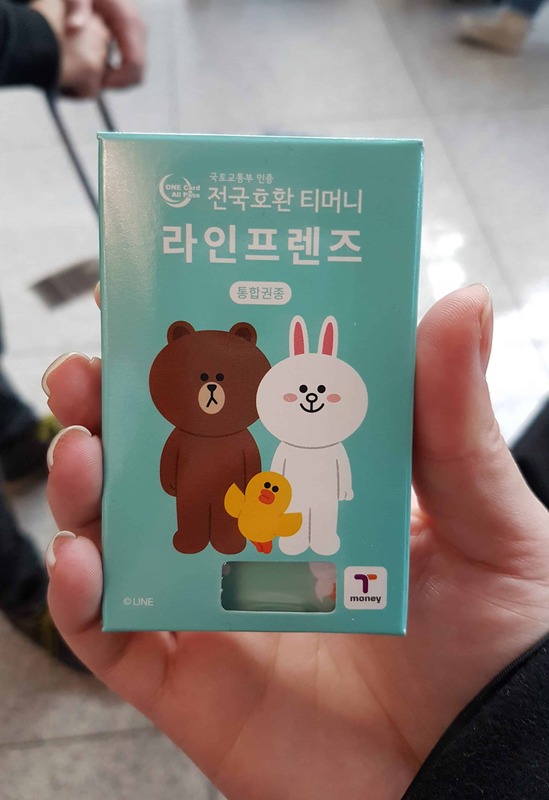 At the airport, we picked up a T-Money card at their vending machine (obviously I got the cute one in collaboration with Line). Similar to the Presto Card in Toronto, you load up the card at any subway stop with money and then you tap on and off every time you use their public transit. However, this card is not the same “one way ticket” you can purchase to get on the direct train from Incheon to Seoul. The AREX (Airport Express) different ticket that you’ll have to purchase from the machine or counter. The AREX is a 40ish minute direct ride to Seoul Station with assigned seating whereas if you choose to use your T-Money card to take the public transit, it can take up to an hour. We went with the AREX for convenience of having assigned seating and speed. 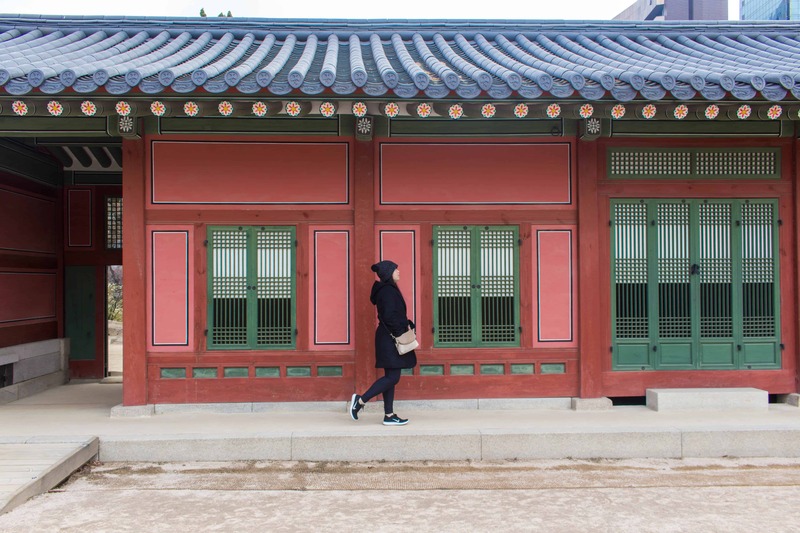 Once you’re in Seoul, the fastest way to get around is underground subway. The buses, they honestly scared me. Driving in Seoul is a whole other ball game and the buses rarely came to a complete stop before their doors were already opened, ready for you to hop on or off. 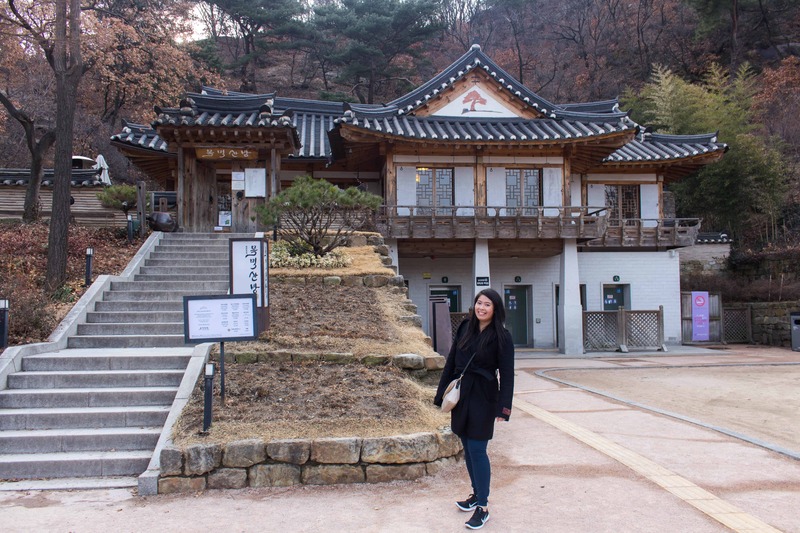 We stayed in two different places in Seoul as we took a short trip to Busan mid way through. 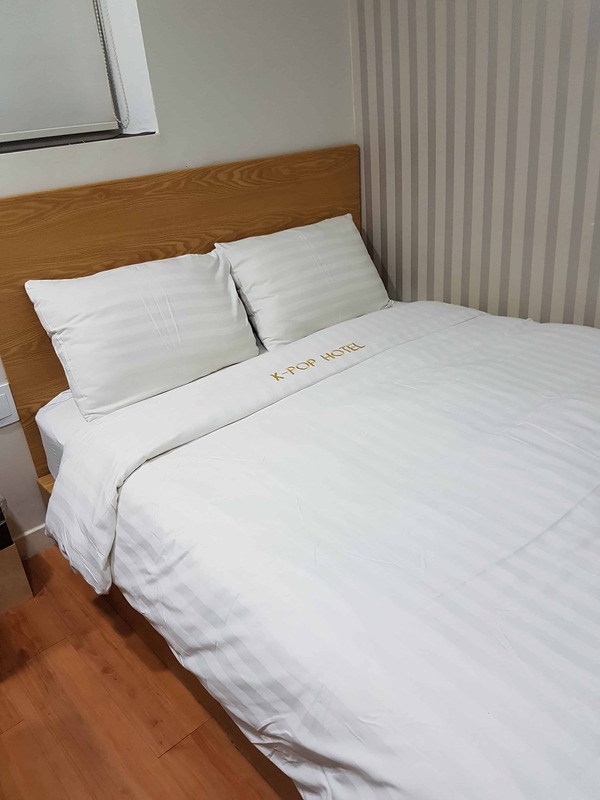 The first place was called the K-Pop Hotel (Booked through Booking.com) which was up a 300m-ish hill right by one of the exits of Seoul Station. 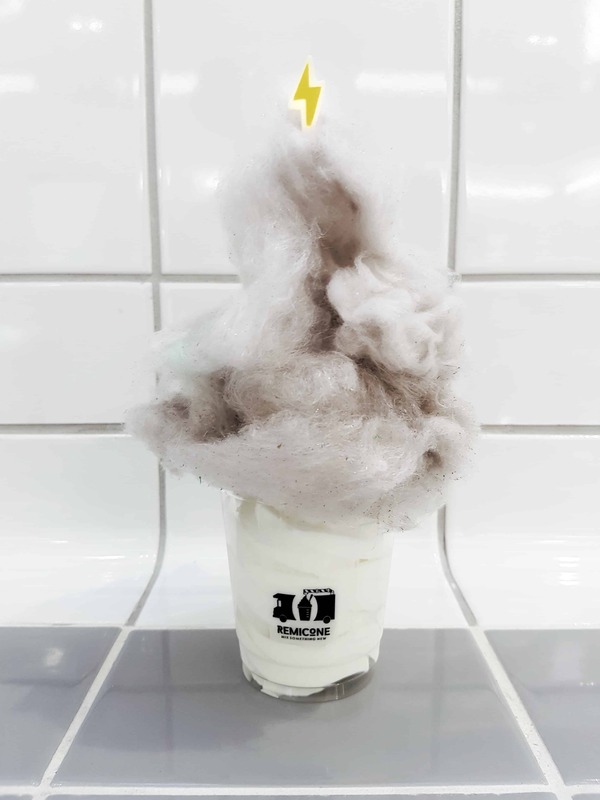 While the room was on the smaller side, the location was extremely convenient as it was right across the street from a Lotte Mart, a shopping centre, and a walkable distance to the shopping district Myeong-dong, Namsan Seoul Tower, and multiple restaurants. On top of the great location, the K-Pop Hotel was also clean, quiet, and the front desk spoke English so there were no complaints from me! Plus we mostly spent our time exploring Korea and only spent our time in the hotel sleeping so we didn’t need anything too fancy. The second place we stayed was called N Fourseason Seoul (not the be confused with the chain Four Seasons), surprise surprise, also up a hill. But this was like closer to 600-700m hill so wear reasonable footwear! I personally liked this room as the room was like 80% bed. 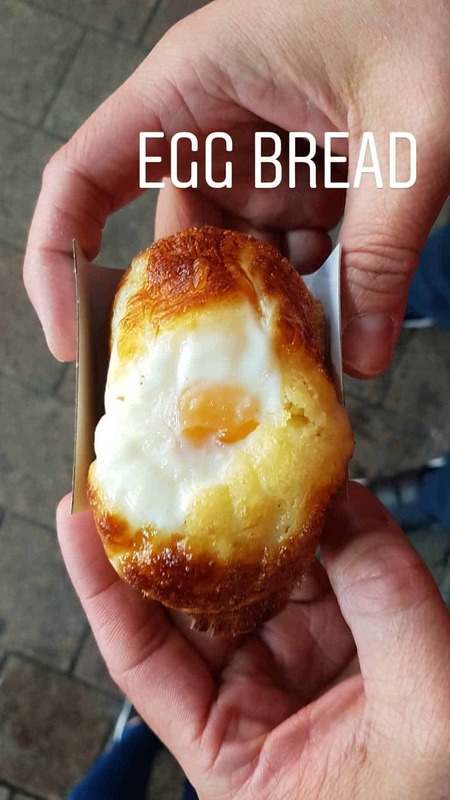 I mean, just look at it! 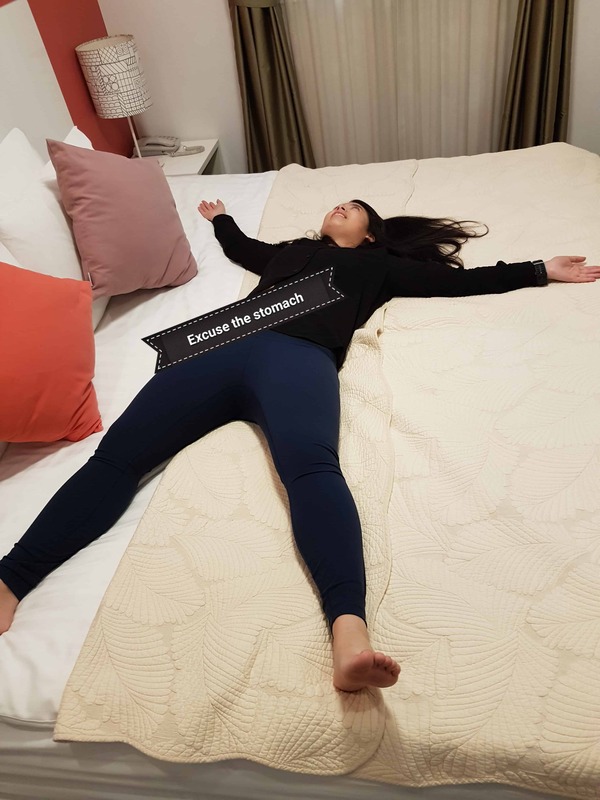 I’m 5’3″ for reference and the bed is extremely spacious. It was located even closer to Myeong-dong and the base of the hill had a subway stop. Namsan Seoul Tower | 105 Namsangongwon-gil, Yongsan 2(i)ga-dong, Yongsan-gu, Seoul | Namsan Tower or Seoul Tower, is a communication and observation tower located on Namsan Mountain in central Seoul, South Korea. There’s a cable car up the mountain or you could walk up the mountain. We chose to walk up because we went before the cable cars were operating in the morning and bumped into a lot of seniors going on their daily stroll. As I was gasping for air, these grandmas and grandpas were breezing by me. 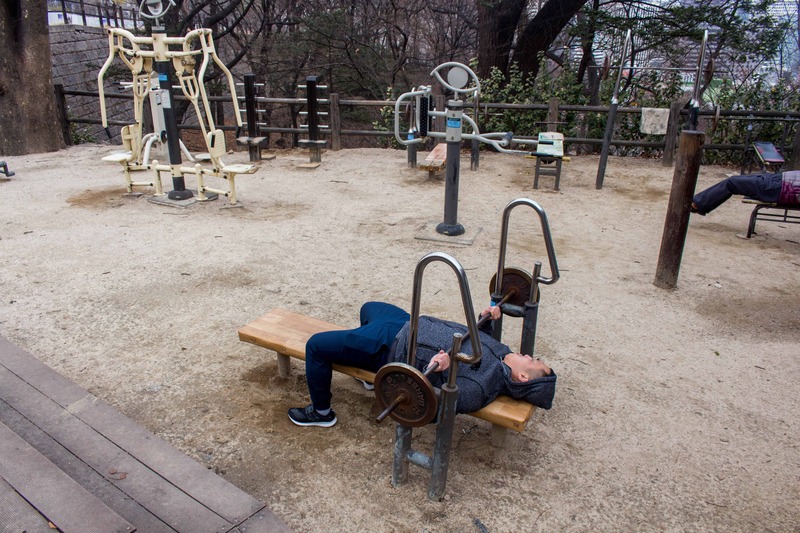 There were observation spots along the hike up in addition to little outdoor gyms! We met a grandpa that was literally bench pressing outside and he almost out benched H! 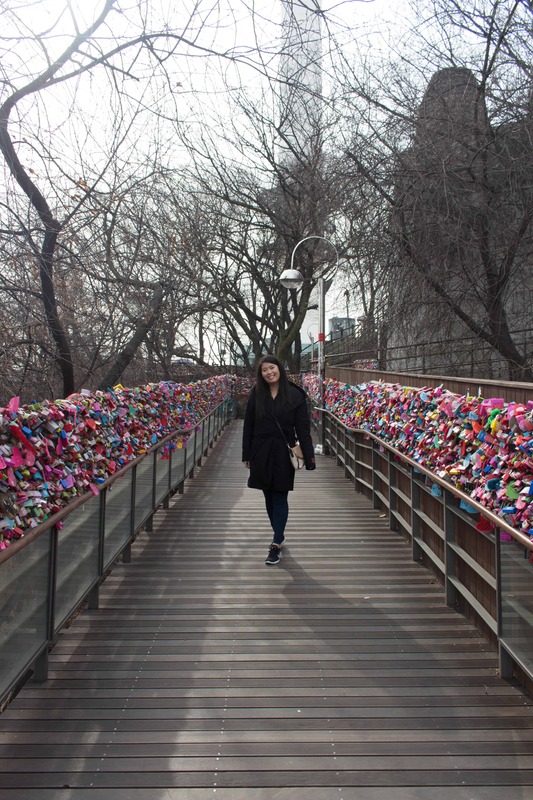 In addition the the beautiful scenery up the mountain, there is also their version of the Love Locks where you can purchase (or bring your own) lock and lock it onto their padlock friendly areas. 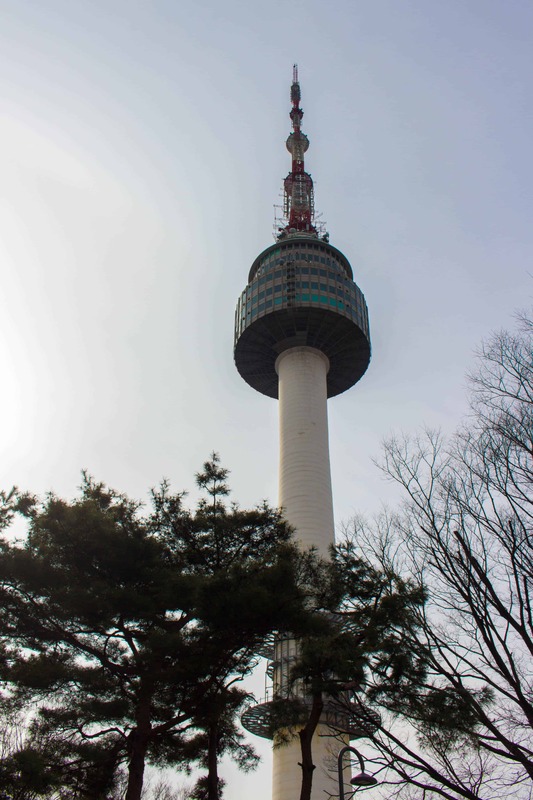 Once you get to the top of the mountain, you can visit the tower itself where there are cafes, gift shop, observation deck, mini museum (Hello Kitty, Teddy Bears, Superheroes, etc), an arcade, and more! 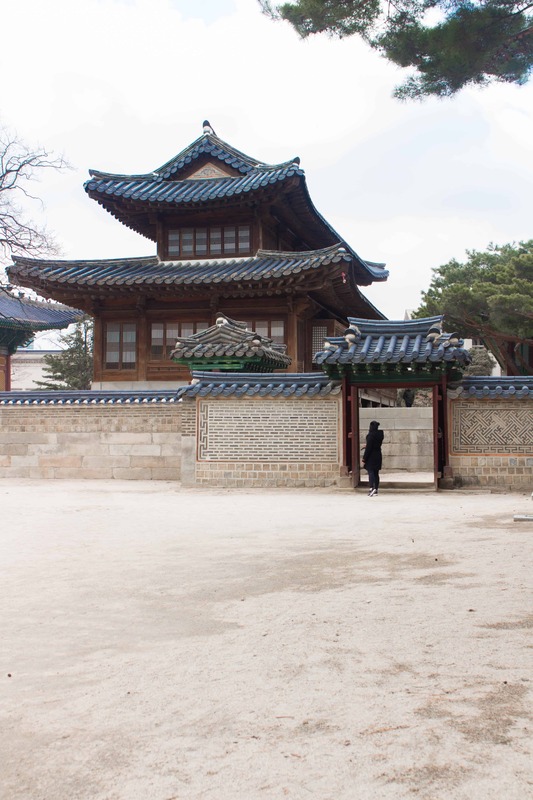 Deoksugung Palace (and other palaces) | 99 Sejong-daero, Jung-gu, Seoul | The contrast with the city and palace is pretty amazing. In the middle of busiest downtown intersection of Seoul, The Deoksugung Place sits alongside these modern buildings. Inside, there’s a history museum and also a hall to explore. You are only permitted to enter the history museum with a guided tour so be sure to book a session if you’re interested in visiting the interior. National Museum of Korea | 137 Seobinggo-ro, Yongsan-gu, Seoul | The National Museum of Korea was one of my favourite spots. 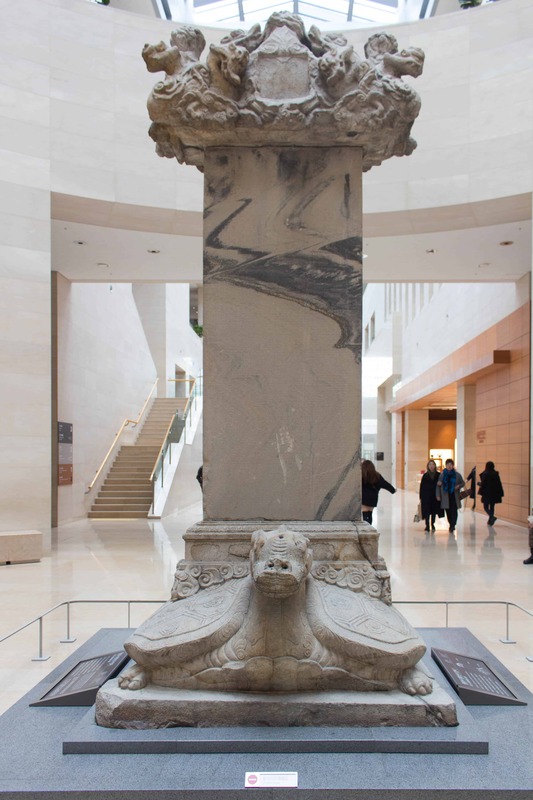 I find that other major museums have something to learn from Korea – most historic spots were either had a very low entry fee or like the National Museum of Korea, entry was free. It’s a great way for both citizens and visitors to learn more about the history of a nation when visiting the museum is free to visit. There are three floors in the permanent collection: Floor 1 consisted of The Prehistory and Ancient History and The Medieval and Early Modern History; Floor 2 consisted of The Calligraphy and Painting section and Donated Works; and Floor 3 consisted of The Sculpture and Crafts and other Asian Arts ( India-Southeast Asia, Central Asia, China, Sinan Shipwreck collection, and Japan). Their Special Exhibition Gallery changes and requires an admission fee and the entrance is outside across from the main exhibit’s entrance. 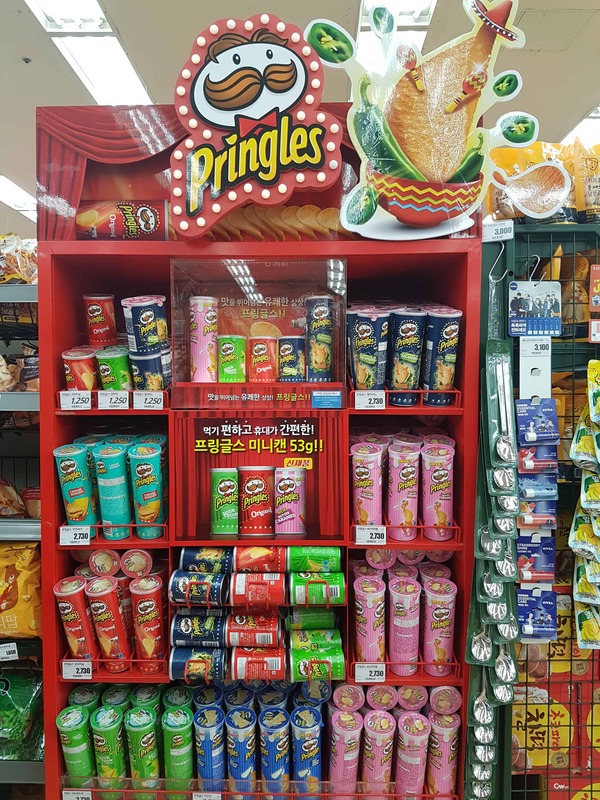 Lotte Mart | multiple locations | Hello duty free shopping! There are multiple locations that fall under the “hypermarket” category. These superstores are multiple floors and they sells a variety of groceries, clothing, toys, electronics, and other goods in addition to having floors that are duty free for visitors. I loves checking out their grocery section as there were so many fun flavours of snacks that we don’t have in Canada! 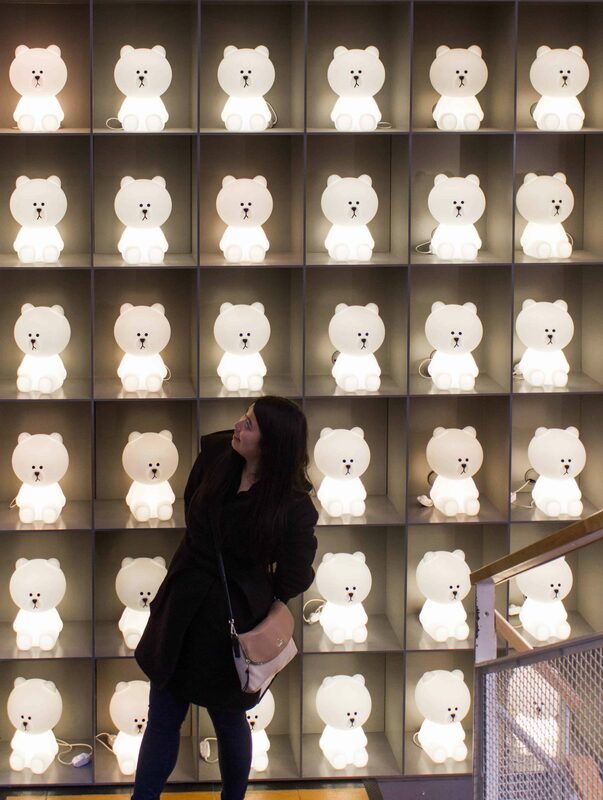 Myeongdong Shopping District | I’m not going to lie – I was in Myeongdong at least 4 different times because I had to buy everything. I mean, everything. I had over 200 face masks by the time I was done shopping. I think I visit the multiple Etude House locations at least 7 times, H was less than impressed but bless him, he went along with it. The sales associates in the area spoke English, Mandarin, and Japanese in addition to Korean so if you need something, they’ll probably be able to help you find it. 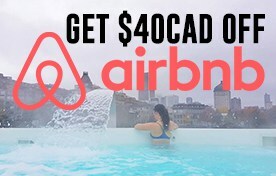 Pretty much anything you want or need is available here – there are restaurants, clothing stores, make up stores, skincare stores, department stores, and is located right at a subway stop. Also… if you need a mask for something, they have it. Every time I walked by these mannequins, I had a good giggle because I have never considered buying a mask for my arms, thighs, stomach, or breast. Doota Mall | 275, Jangchungdan-ro, Jung-gu, Seoul | Have you ever been to a mall that stays opened until 5AM? Well, here you go. You can literally shop til you drop. Dongdaemun Market | Dongdaemun Market is 10 blocks, with 26 malls, 30,000 specialty shops and wholesale stores. Some of them also open until 5AM. I’m not even kidding. If you like to shop, purchase or bring along an empty luggage because you’re going to need it (I sure did). 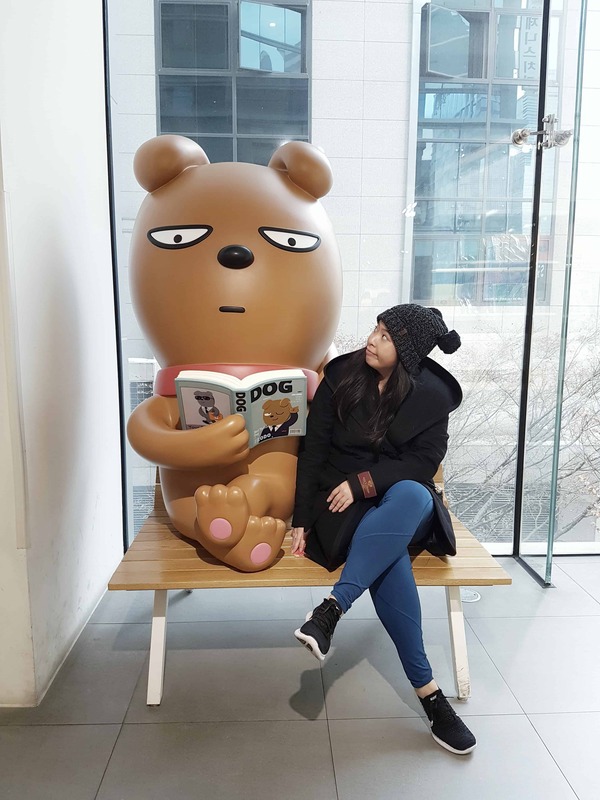 Any KAKAO Friends or Line Store | Trust me, everything is cute AF! 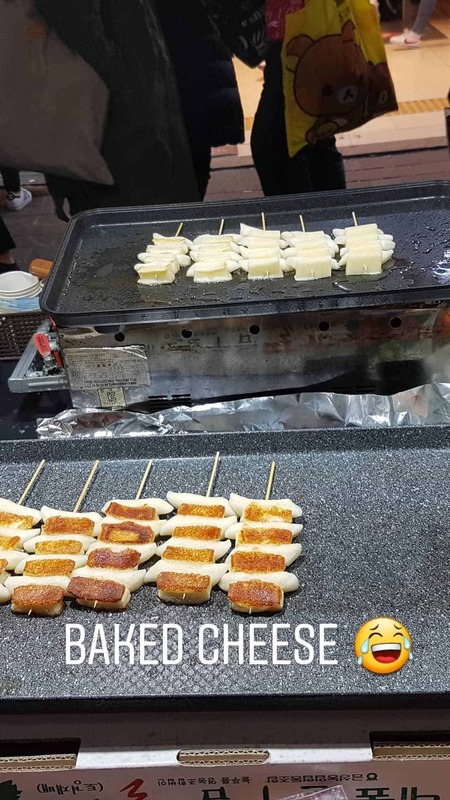 Myeongdong Night Market | I would not oppose to eating at the Myeongdong Night Market every night. This is cash only so be sure to have small bills on you! Korea Samgyetang | 1 Seosomun-ro 11-gil, Seosomun-dong, Jung-gu, Seoul | I had the regular samgyetang (stuffed ginseng chicken) and H had their black chicken version. The black chicken version does cost a midge more but H felt like it was worth it. 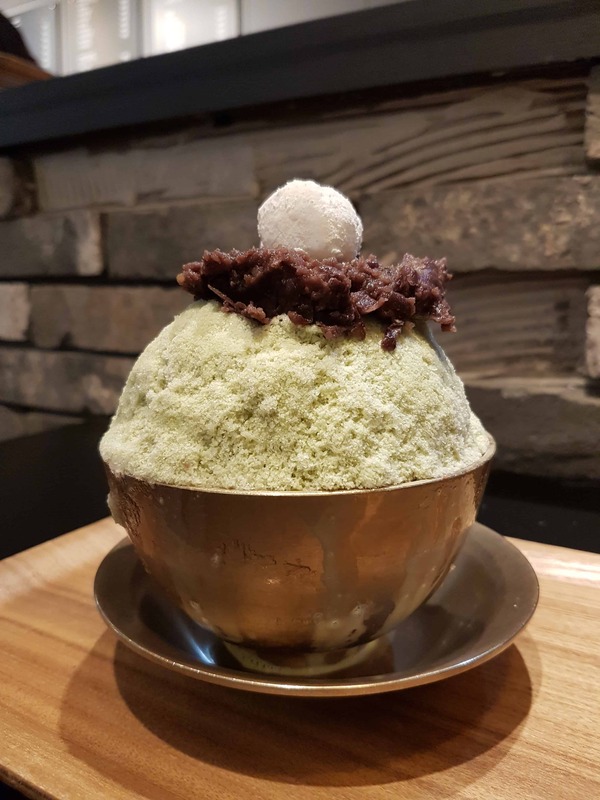 Bingsu | Bingsu is a traditional Korean dessert consisting of shaved ice dessert with sweet toppings that may include chopped fruit, condensed milk, fruit syrup, and red beans. If i saw a Bingsu place, I stopped and had one. It almost felt like we had Bingsu daily! 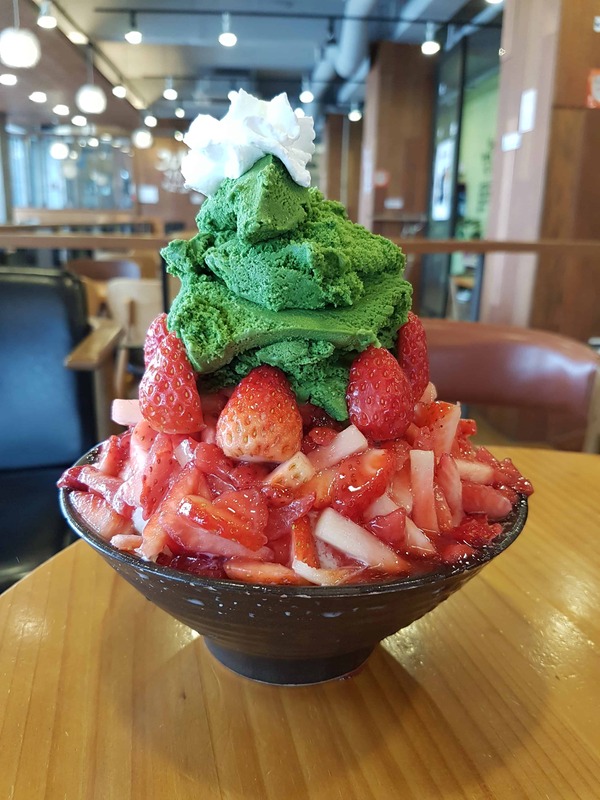 It just so happened to be strawberry season while we were visiting so the Bingsu that we had with strawberries was H’s favourite. It was so sweet and delicious. 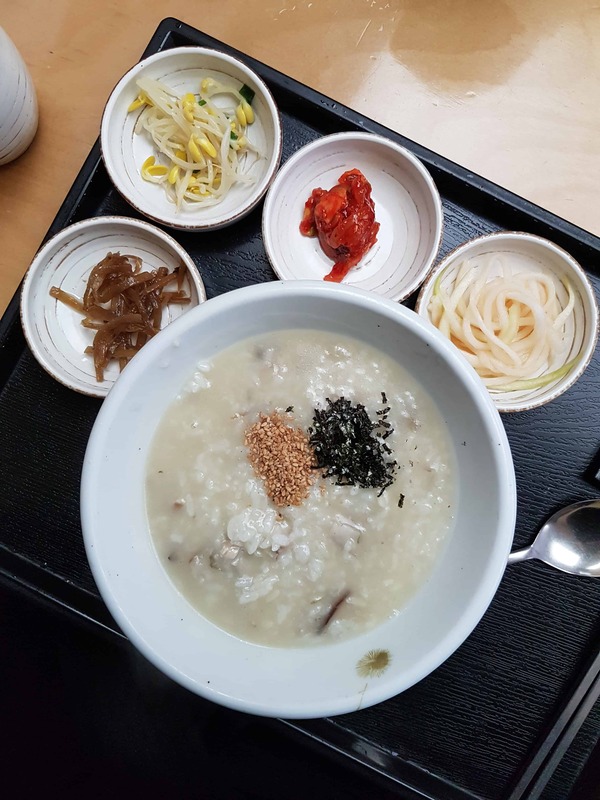 Migabong | 56, Myeongdong-gil, Jung-gu, Seoul | One of my favourite Korean porridge spots! You may see a line up along the stairs and wonder if it’s worth the wait so let me tell you that yes, yes it is. 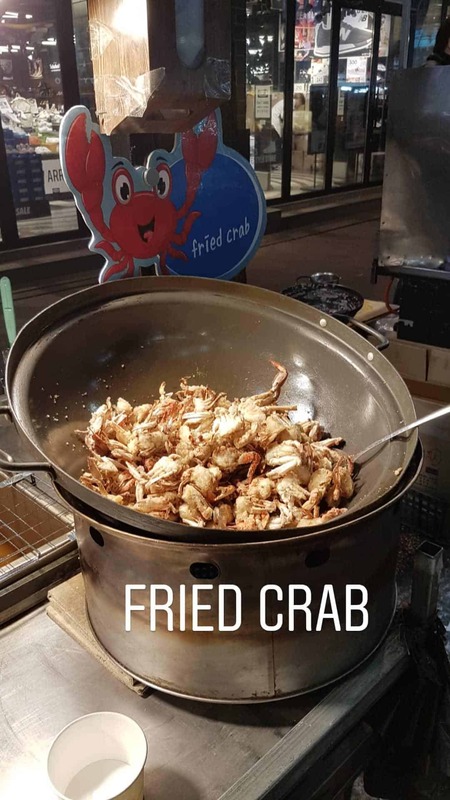 Definitely a must-try and a great way to give your body a little bit of a break if you’ve had a ton of street food and fried chicken like we did. 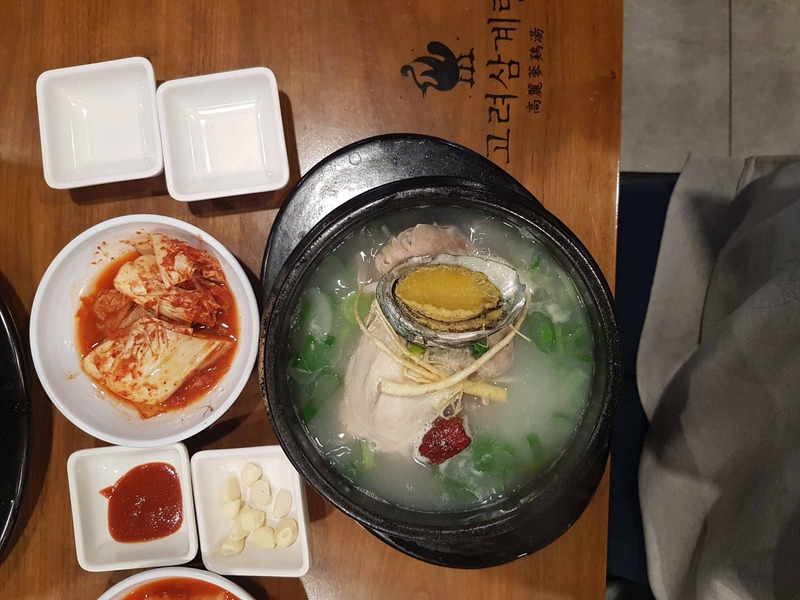 Sinseon Seolleongtang | 56-1, Myeongdong-gil, Jung-gu, Seoul | So you may have noticed that the address of Sinseon Seolleongtang is almost the same as Migabong and that’s because this restaurant is literally right under it. This restaurant is on the ground floor and Migabong is upstairs! 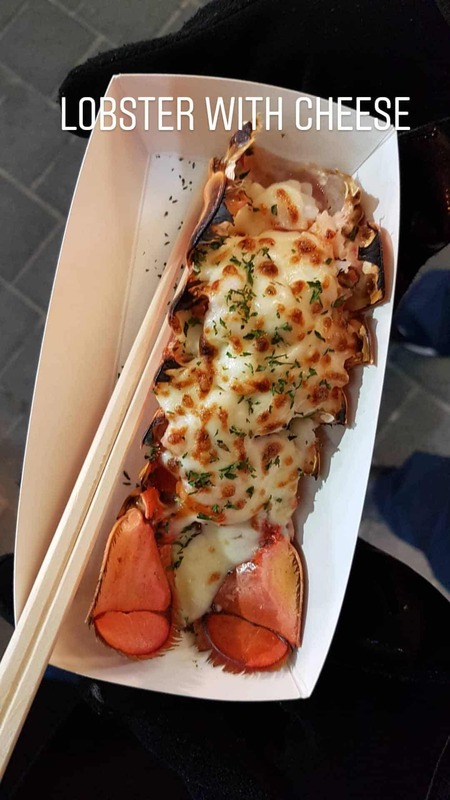 We found this place while wandering around Myeongdong and saw a long line outside! Of course that meant I had to go try the food LOL. 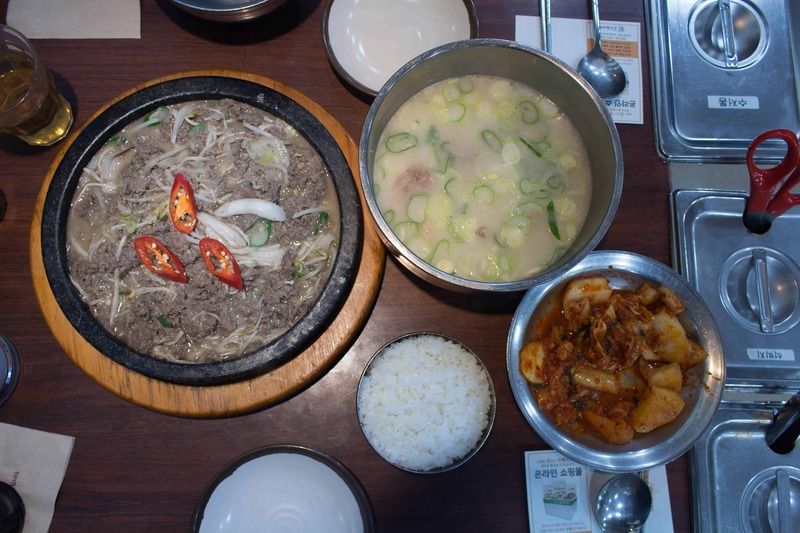 Known for their ox-tail soup, we ordered a bowl of that along with a side of bulgogi. I absolutely loved it and liked how they had unlimited sides at the table for you to self-serve. Remicone | 547-12 Sinsa-dong, Gangnam-gu, Seoul & 18-12 Euljiro 6-ga, Jung-gu, Seoul (at Doota Mall) | A fun ice cream shop that has ice cream in three flavours: milk, salted caramel, and real chocolate with fun toppings such as cotton candy, pop rocks, honey caviar, and more! 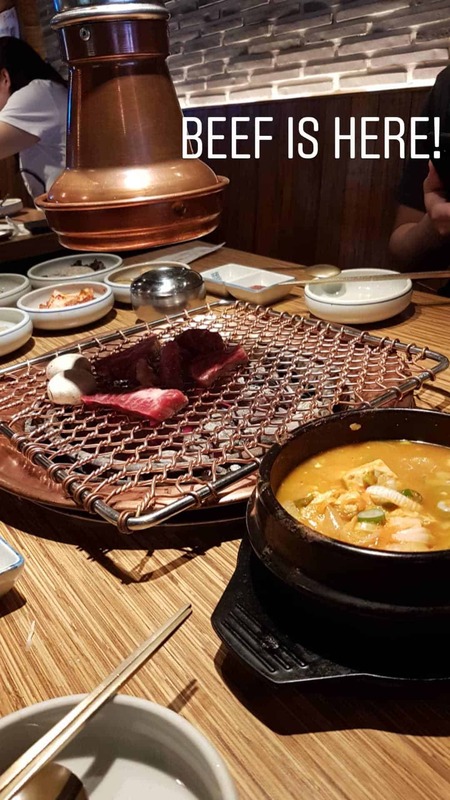 Wangbijib | 63-6 Chungmuro-2ga, Jung-gu | 2f, Seoul | One of my favourite tabletop BBQ locations in Seoul! The staff does the cooking portion for you and the meat that we had was so tender and flavourful. Below is a photo from my Instagram because I spent more time eating that taking photos with my camera ha. 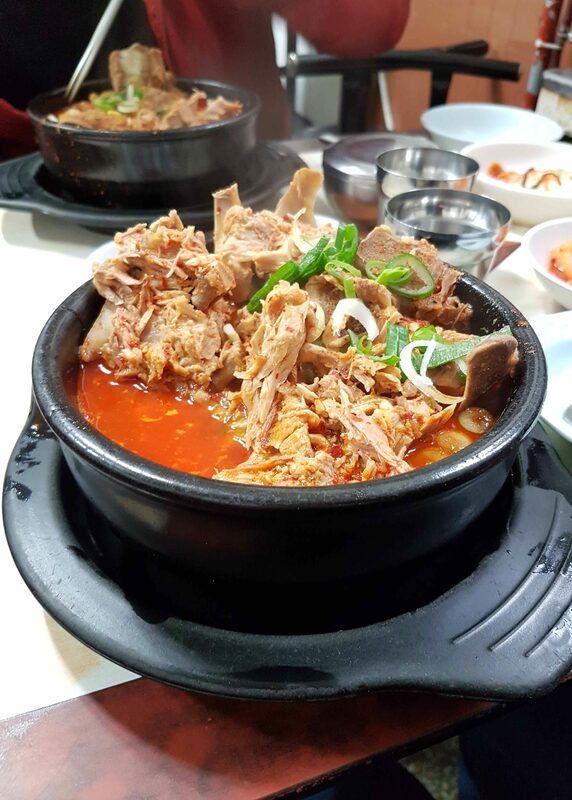 Dongwonjip | 24 11-Gil Chungmu-Ro, Jung-Ku, Seoul | A mom and pop styled restaurant that mostly serves pork bone soup. I say mostly because they did not speak English and had a menu on the board in Korean with like two options. After some hand gestures and attempt at translating, we just ordered two pork bone soups since we couldn’t figure out what the second item on the menu was LOL. It was quite inexpensive for the serving size and it did not hold back on the spice. I was almost in tears at one point but I had to finish it. 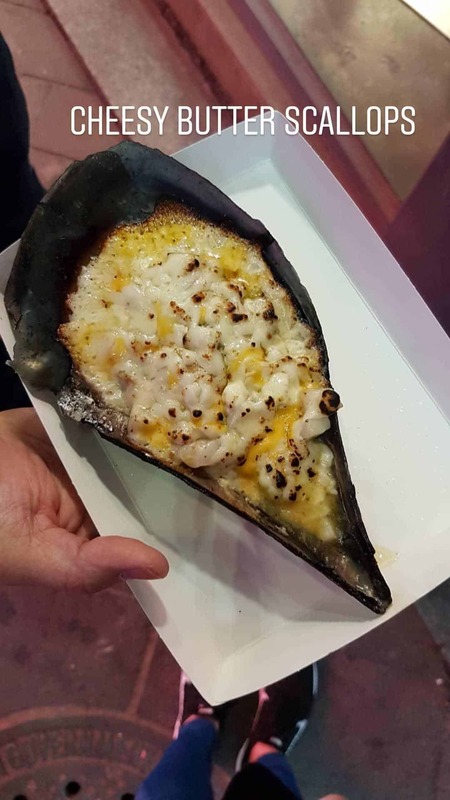 Note, you’ll be walking through a more local neighbourhood to get there – tile store, construction related shops, and etc, it won’t be like a walk through myeongdong. I felt perfectly safe going there with H but I wouldn’t go alone as a single girl since it’s through some winding paths where it’s easy to get lost with locals who don’t speak English fluently. Soooooo we went to play badminton like four times and by we I mean H did and while he played, I went on my runs. There are a lot of community centres and gyms that have badminton courts and H took full advantage of it and got some great games in. We were lucky to have had some friends introduce him to the players and be a translator for him as the times we went on our own, we had difficulties communicating and finding partners to play with. As for running, I ran the lower part of Namsan Mountain (even at night, I felt safe minus the fear of a potential ghost popping out to be honest) in addition to the random areas that H brought me to for badminton. Hills are pretty much everywhere so there was no escaping it. We also walked around a lot – one night I was almost at 50 000 steps before 6:30PM! 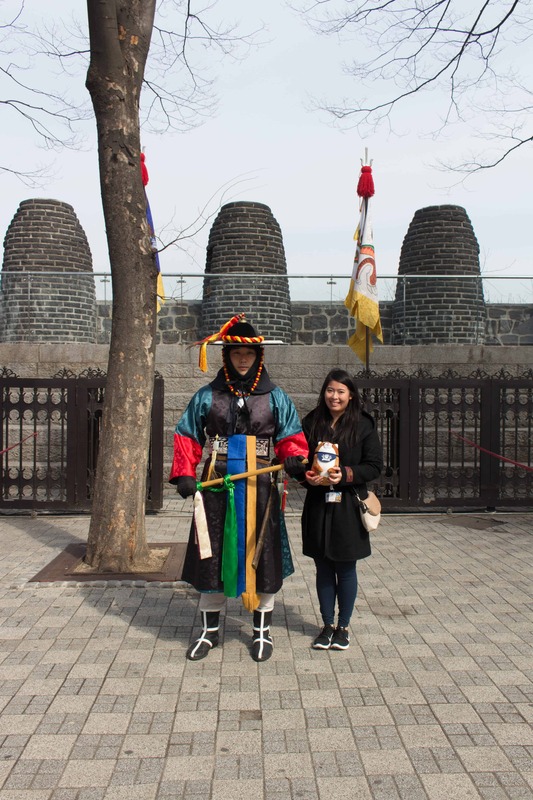 We did more mountain-ish strolling in Busan but I’ll cover that in my Busan post! Overall, it was a pretty active trip! LET’S CHAT! HAVE YOU BEEN TO SEOUL? WHERE ARE YOU PLANNING TO VISIT NEXT?